My sister and I have both successfully used oil of oregano to treat toenail fungus. Here I share our experiences. I waited for seven months to write this piece. 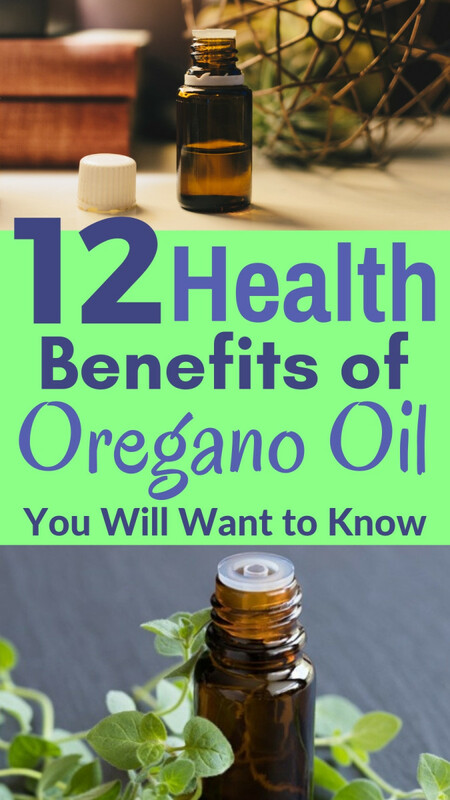 I’ve written several articles about the curative powers of oil of oregano, but this time I wanted some anecdotal evidence to prove it works better than other remedies, including pharmaceuticals. I’ve written about using this oil to get rid of colds and flu and to relieve the symptoms of skin ailments such as eczema. For the purpose of this article, I set out to prove it works on nail fungus. I used oil of oregano myself for a toenail problem two years ago, and I have not had a recurrence. When my sister developed the same problem a few months ago, I decided to break out the camera. I took a photo every couple of months until the fungus was gone. For just a few pennies a day, a stubborn case of toenail fungus was eliminated forever. How Do Toes Get Infected so Easily? Few widespread physical ailments elicit the ick factor more than toenail infections. It’s unsightly for both men and women and can frequently cause pain in cases where the toenail gets so infected it separates from the nail bed. For women who enjoy pedicures and wearing sandals, both are off limits with nail fungus. The condition causes a lot of embarrassment because the toenails really do look awful once the infection takes over the nail. Fingernails can also get infected from a fungal infection, but the toenails seem to be a more common place for these infections to set up shop. Our toes are encased in a warm, damp environment for most of the day, which is a breeding ground for fungus. Letting your feet breathe as much as possible is an excellent way to prevent a fungus from setting up a permanent home on your feet. Sleeping barefoot, wearing open-toe slippers and cotton socks gives your feet and toes much-needed ventilation. Wearing shoes that fit well and don’t cramp your toes is equally important. Unfortunately, even these measures are not always effective in preventing toenail fungus, and additional prevention and treatment is needed. A toenail fungal infection is usually a sign of a systemic overgrowth of yeast. Eating probiotics is the best way to prevent recurrences of yeast and fungus and to get rid of a current imbalance. A cup of yogurt daily is excellent protection and it gives your body more of the healthy bacteria it needs to function properly. If you hate yogurt, then taking a probiotic supplement daily will work just as well. I used to struggle with yeast infections in other parts of my body. I also had an imbalance in my digestive tract that me me a prime candidate for yeast infections. Since I started taking the NOW probiotics, the digestive issues and the yeast infections have gone away. I like the NOW brand because it works, and because it is less expensive than some of the other brands that claim they are better. Most probiotics work well. It is not necessary to spend a fortune. But choosing a brand is also a matter of personal preference. If you are doing all of these things and you are still getting fungal infections on your toenails then it’s time to seek out alternatives that will clear up the problem naturally. A little known fact about toenail fungal infections is that most come from a type of fungus that invades the nail bed called Dermatophytes. Toenail fungal infections can also be caused by a variety of molds and fungi although Dermatophytes are the most common culprit. The official medical term for the condition is Onychomycosis. No matter what it’s called, nail fungus is a miserable condition to live with. Doctors today have an arsenal of products to combat nail fungus, however many of these medications can have dangerous side effects, including liver problems. It’s always better to treat a condition with a natural, holistic substance because holistic remedies don’t have long term side effects. Natural remedies attack the source without compromising any major organs. It can never hurt to consult with a doctor if you experience symptoms of nail fungus, but educating yourself about treatment options can be done without medical intervention. 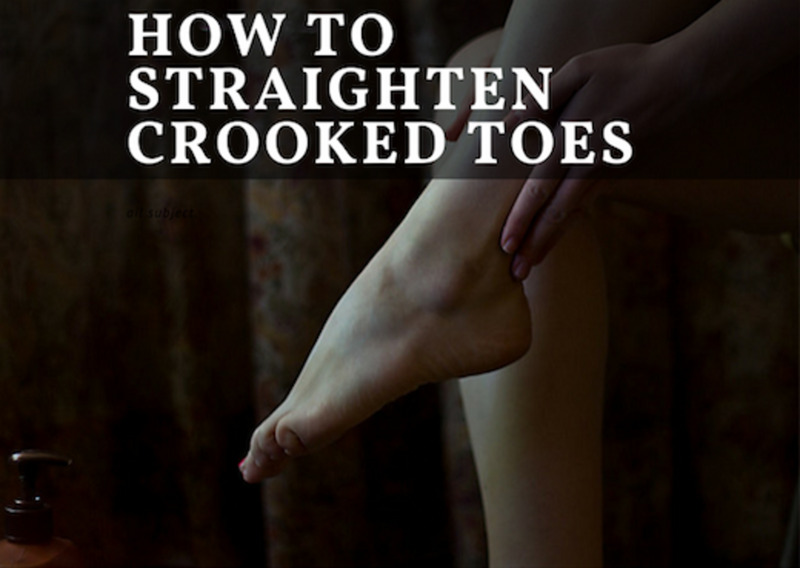 The symptoms are pretty easy to spot and include a thickening and discoloration of the toenails. It may start with one nail and spread to the others over an extended period of time. Not only are our toes close together, they are also confined throughout the day inside socks and shoes. This is how fungal infections like nail fungus and athlete’s foot spread quickly to all the toes. Like any infection, the earlier it gets treated the better. The best time to treat an infection is at the first sighting of a white stripe or discoloration of the infected toenail. However, even if you've had it for awhile and it covers the whole toenail, it can still be treated. Oil of oregano is an excellent, inexpensive, natural remedy that gets rid of the underlying problem on the nail bed and keeps the nail infection from returning. It is possible to get rid of nail fungus permanently without the use of toxic medications. An excellent treatment with no side effects is the application of oil of oregano directly to the toenails. This oil has an ancient history dating back for millennium and has been used with great success to treat all kinds of viral, bacterial, and fungal infections long before modern medicine came up with dangerous chemical compounds that carry side effects. Treating toenail fungus is easy with this oil. It’s a good idea to try the oil at the first signs of nail problems. A drop or two of the oil should be massaged into the affected nail twice a day as well as the surrounding nails to prevent further infection. 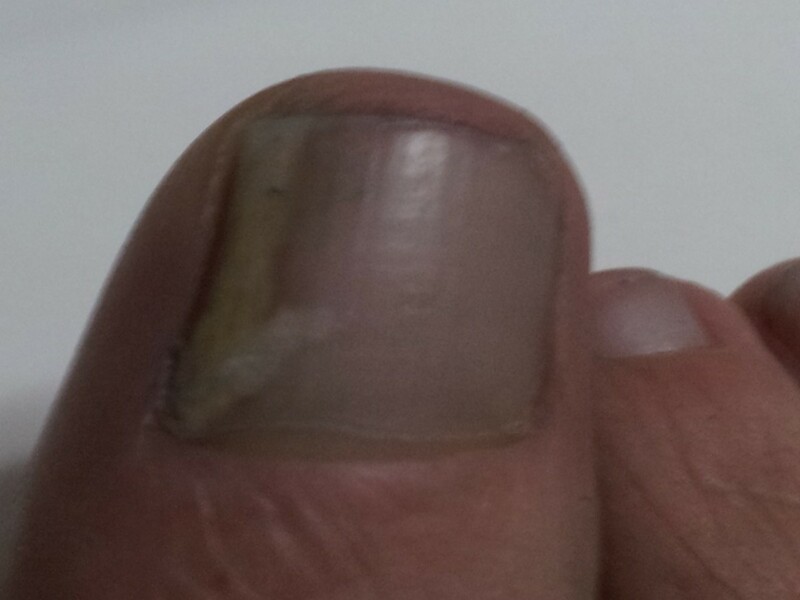 As the nail grows out, the fungal infection should grow out with it. The new nail should look normal and clear. The earlier a fungal infection is treated with the oil, the better. If you see a large section of a toenail become discolored, that is probably the beginning of a nail infection. Begin rubbing the oil on your toes every day. I was introduced to Oil of Oregano by a friend who gave me a bottle of the North American Herb and Spice Oreganol. It has one of the highest concentrations of the active ingredient carvacol - at least 85%. I've tried several brands over the years, but this brand is my favorite. This was also the brand I gave my sister. Since it worked for both of us, it's my brand of choice. You may like something different, and I recommend trying different brands until you find your favorite. In addition to applying the oil right to the toes, it helps treat any infection inside your body as well. Follow the manufacturer's instructions for proper dilution of oil of oregano if taken orally. For people who cannot tolerate the unpleasant taste, it’s available in capsule form which works just as well. It is best to consult with a medical professional before incorporating a new supplement into your daily diet especially if already on a medication, pregnant or nursing. I primarily keep the drops for external use for skin problems. I also like to have it in case I get a recurring case of the nail fungus - so far so good. It hasn't returned. Now I prefer the pill form, and I use the caplets from the same company, North American Herb and Spice. I primarily take the pills when I feel a cold virus coming on. It gets rid of viruses right away. I have several friends who take it every day - I prefer to wait until I have a problem. Many people are aware of the health benefits of this oil to prevent systemic fungal, viral, and bacterial infections. The pills are a much higher dose. Again, it is a personal preference as to when and how much to take. A note of caution: Oregano Oil is a very strong herbal remedy. It can lead to an upset stomach when you take the pills. When I need to take the pill, I make sure I eat at that same time and don't take them on an empty stomach. It’s important with any natural remedy to stick to a treatment routine and not skip applications. Patience is required when eradicating nail fungus as it can take three to four weeks for the old nail to grow out and the fungus to die off. A nail infection that has been present for years may not be as easy to get rid of, but use of the oil in many cases can improve even the most stubborn nail fungus. It’s worth trying for at least a couple of months. Oil of oregano is inexpensive and readily available online. Its curative powers are well documented and its powerful preventative properties make it a worthwhile addition to any home remedy collection. It’s a powerful force in the fight against all kinds of systemic fungal infections including toenail fungus. As you can see from the photos, my sister was developing a nasty case of toenail fungus that could have progressed and covered all of her toenails. My sister was skeptical at first, but she wanted to avoid a doctor visit if at all possible. With my encouragement, and a gift of a bottle of oil of oregano, she stuck to a regime of applying the oil to her foot every morning and every evening for months. She also swallowed a couple of drops every day. It paid off. At first nothing happened, but when the infected part of the nail fell off she became hopeful. As the new section of nail grew in and she could see that it was healthy and clear of fungus, she was thrilled. She can now go back to wearing sandals without feeling self-conscious. I was happy to help her with my little secret remedy. If you’re experiencing the same problem, I hope this article helps you get rid of a very unpleasant, but easily treatable condition. Unless the skin is broken you really don't have to worry. Oregano Oil already comes mixed with olive oil or grapeseed oil. If you still find it to be overwhelming, you can mix it with a tiny bit of water. But remember if you over dilute it - it may not be as effective in eliminating the fungus. Renee - Oil of Oregano is normally sold already mixed with grapeseed oil or olive oil - it's rarely any other way. Check the ingredients or contact the company you bought it from. It should be fine to apply it by itself as long as there is no broken skin. Shivani - You can take Oil of Oregano however you like. It won't affect it's healing properties. Adding it to a smoothie is a good idea. As an alternative to taking the oregano oil by itself orally, would adding a couple drops to a smoothie work? I tried oregano oil on my toe fungus about a year ago. 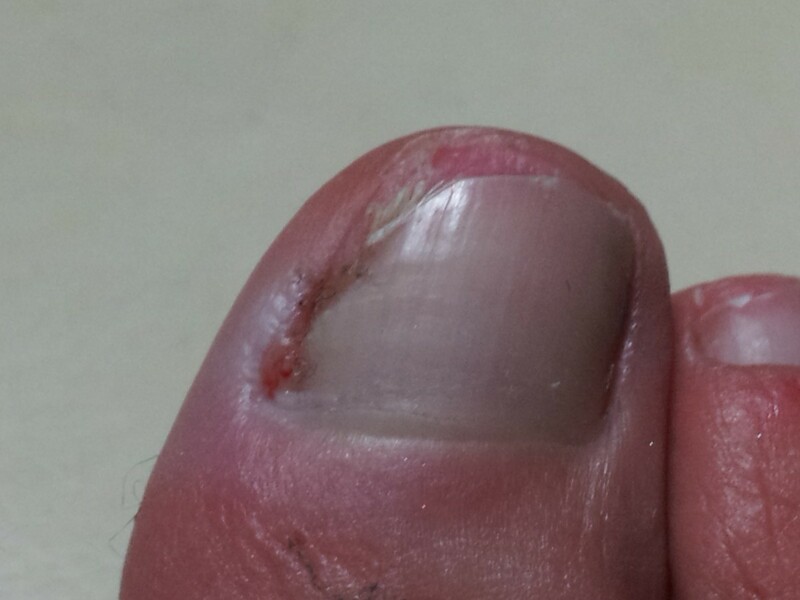 In the first week i saw some improvement, but in the second week my toe became irritated and sore. Then i started itching all over and especially around insect bites. I think i developed hives from using the oregano oil. I have been told that you develope hives when something in affecting your liver. Had to stop the treatment. Has anyone else had this problem? Apple Cider vinegar works better and faster. That is the only thing that helped me get rid of my toenail fungus. Apply it morning and night on the affected making sure it penetrates very well. Be patient as it might take some days or weeks. I am 25 years old and have had embarrassing toenail fungus since I was about 7. I tried every over-the-counter remedy at the drugstore and prescription topical treatment with no success. I was afraid to try oral prescription meds because of the side effects. I decided to test oil of oregano on one toe only to see the results... After 6 months of applying oil of oregano 2x a day, my big toe is clear for the first time in about 18 years. I will now be trying it on ALL my toes. I can vouch that this works! I tried orthotics and they didn't work. I wear those very thick rubber sandals in the house- the ones the sneaker companies make, like Nike or Adidas. It helps the plantar fasciitis a lot. I imagine any of the anti fungal foot powders they sell in the stores would work in your shoes. As long as the skin is not broken, you can use oregano oil on you skin, just a drop or two. It comes in a mixture with olive oil or grapeseed oil. It might sting for a couple of minutes, but then it stops. You might want to check with a foot doctor just to be on the safe side. Good luck! I rub it into my toenail in the morning before I put socks on. Then I rub it in again about a half hour before bed time. If you stick to this schedule it should clear up in a few weeks. Thanks for stopping by. It depends on the strength of the oregano oil. You have to use a high quality brand. The active ingredient carvacrol should be at least 85% for the right potency. Good luck! I heve used oregano oil mix olive oil but dount have hed result. I heve toenail fungus and athlete's foot. What I do? Oil of oregano is great for colds, congestion, flu, teeth pain and gum inflammation! I had what I thought was tooth pain and went to the dentist before a trip, who said it was gum inflammation and prescribed antibiotics and they took several days to work. When I came back the pain started again and I didn't want to get more and remembered I had read about oil of oregano and tooth pain. I had the O of O in my frig and rubbed some on my gums--the paint stopped ON CONTACT!! Amazing. Ologsinquito thanks for stopping by and thanks for the kudos. My sister is happy, the fungus never returned. You are right - no house should be without Oil of Oregano - it's amazing stuff. :-) I appreciate the great feedback. This is amazing. I love how you have before and after pictures. Every house should have oil of oregano. I'd never want to be without it. Voted up, shared and pinned. I'm sure this will help, and yes it does take some patience, but once it goes away it should stay away. Taking a few drops every day for prevention is also a good idea. If the taste is too much for her, you can order the capsules. Good luck! Thanks for stopping by. Thank you for this information. My elderly mother-in-law has had a toenail fungus and the beginnings of fungus on one of her fingernails. I'm going to get her on this Oil of Oregano treatment. Also thanks for explaining that patience is needed. I would otherwise give up after a couple weeks had I not known that more time is needed. I'm really impressed to read this..eagerly waiting to use this product! I'm getting hope to read your hubs. If Allah wants, by the grace of Allah this oil will help me I think ..